Faber Academy Alumni Renee McBryde discusses how she came to be a writer, and how the challenge of writing her first book – a confronting and moving memoir – was aided greatly by Patti Miller’s True Stories course. As a child I often daydreamed about being a writer. I used to write on any scrap of paper I could find, until finally when I was fifteen I got a typewriter for my birthday. I really wanted to be the next R L Stine or Anne M Martin and most of my writing from these days was in this frame of thinking. Fast forward to adulthood (and thankfully the days of laptops) and instead of writing teen fiction, I’ve instead written a gritty, confronting and shocking memoir about my childhood and early adulthood. Not quite what I had planned, but still, a writer all the same. I guess I always knew I had this big sensationalised story lurking inside me that potentially could make a good book one day; and of course I knew that I loved to write, but I just didn’t know how to tie those two things together and make my story come alive on the page. I had read that often a book is either sensationally written or just sensational….but hardly ever both and I was very conscious that my story was sensational. I wanted to make sure that the calibre of my writing matched the sensationalism of my story because I knew in my heart I didn’t want to share it if I couldn’t do myself justice. I learned of Patti Miller’s True Stories memoir course at Faber Writing Academy just after giving birth to my second son. It wasn’t ideal timing, but I applied anyway and was accepted. I quickly worked out that if I fed the baby and ran out the door and ran straight back out the Faber door after the class, I could get home in time for the next feed….making it somewhat workable. I had my heart set on it working. Each Friday morning, over the months of the course, I became part of a group of writers who soon became good friends. Together we learned so many skills and techniques and week by week I became increasingly focussed on my end goal of writing an actual book. I wrote my first two chapters over the course of the classes, which were (positively) reviewed by the class. This gave me the confidence and a baseline drive to work from when I was eventually out on my own. In my book, The House of Lies, there are some very confronting issues and scenes in the story arc and I really believe that Patti Miller’s True Stories course was crucial in developing the skills to do this in the way I really wanted to do it. Patti taught me to just get it all out on the page, as if no one else but me was going to read it, and then she also taught me how to pull it all back into shape for the reader. With a diverse range of characters in my book (some very lovable ones and a few others much less so), I found the course extremely helpful in mastering how to write the characters without judgement or slant, so that the reader can make up their own minds. For example; there is no eloquence in me writing a character as an angry witch, and just hoping or presuming that the reader will take my word for it. I had to learn how to write without imposing my own thoughts or opinions; to show the reader each character through dialogue, body language etc and allow the reader to determine their own thoughts about the character themselves. I had to write trusting my reader, before I really even trusted myself. The other skill I found my feet with in the class was the ability to change voice. This was really crucial to writing The House of Lies because my voice changes constantly throughout the story; starting as a six year old and travelling through my teenage years into young adulthood. I had to change my voice in order to make sure that the reader could truly experience things with me. I had to write without the cloud of hindsight or wisdom of adulthood overshadowing the story. The Faber Writing Academy course set me on journey where the thought of NOT finishing my book wasn’t an option anymore. And today, just a few years after completing the course at Faber, I am lucky enough to call myself a published writer. Renee McBryde majored in Community Welfare at university. She has worked in the community services sector for the last fifteen years, primarily working with disadvantaged children. 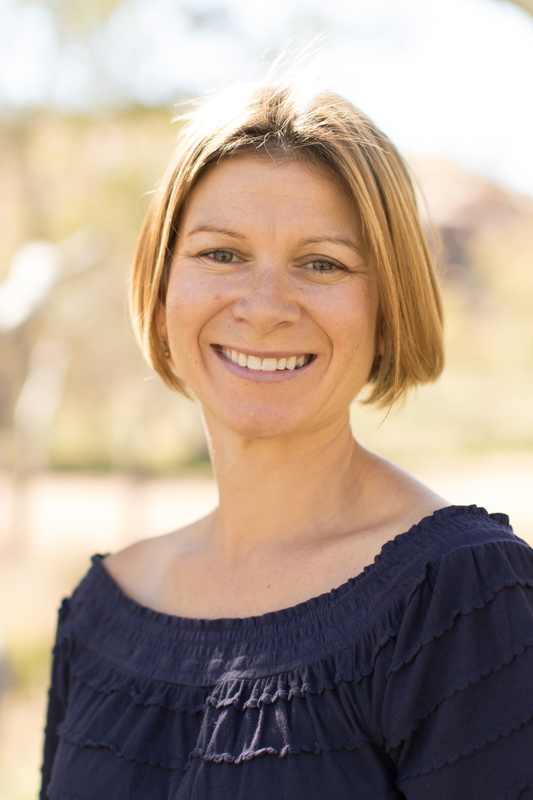 Renee currently works in Child Protection for the Northern Territory government. She also teaches various Community Welfare courses to upskill other professionals within the sector. Renee lives in Alice Springs with her husband and children. The House of Lies is her first book. Patti Miller‘s True Stories course runs at Faber Writing Academy in Sydney early each year, with a scholarship available for 2018. She has recently published an accompanying book, Writing True Stories. which offers a complete guide to writing biographies and autobiographies, memoirs, essays, travel tales and more.